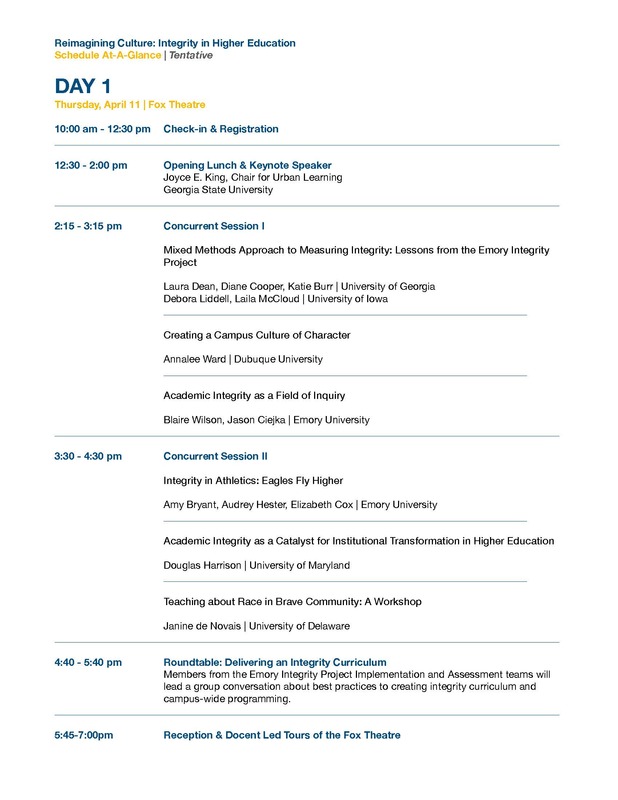 Join the Emory Integrity Project for a two-day symposium bringing together professionals from across the nation to reimagine a holistic approach to integrity in higher education. If you have questions, please contact Erin Mosley at erin.mosley@emory.edu or (404) 727-5048. The Reimagining Culture conference is a proud partner of the International Center for Academic Integrity. This conference will serve as the ICAI Southeast Regional Conference. For more information about ICAI, please visit their website.